You can now take training for MARI® — to the level of becoming a MARI® teacher yourself– on your computer from your location anywhere in the world. 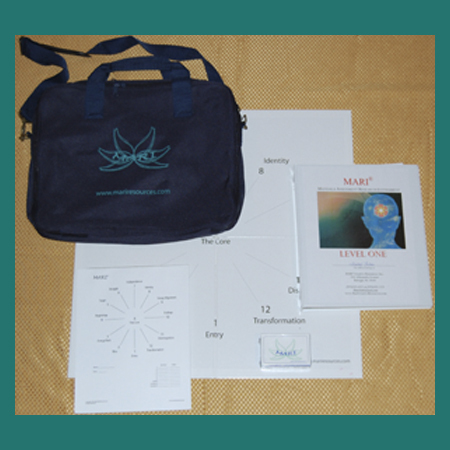 For the initial MARI training to the level of Certified Practitioner, you will complete weekly assignments and meet ‘live’ with a MARI teacher at a prearranged time. These weekly sessions generally include 2-3 trainees, so you are able to have a group interaction and discussion, and still have a maximum of interpersonal connection with your MARI® teacher. The tuition and materials are paid for in advance, and there is a payment option through PayPal that will allow you to spread the payments out if that is preferred. Many students enjoy taking MARI® in this format. They save money and time because they do not have to travel or leave home. They can complete their training exercises, reading the manuals, and practice on their own schedules over a longer period of time. They also have the advantage of feeling like they are in a ‘live class’ since they are able to intact with other trainees and a MARI® teacher. This training is done using the “Go TO Meeting” format. Cost: $799.99 plus materials and shipping. Contact Us for more information or register online below. PLEASE SELECT THE CORRECT SHIPPING FOR YOUR COUNTRY/STATE Your kit will not be shipped until your selected shipping cost has been verified. Failure to select the correct shipping will delay your order until you are invoiced for additional cost and that invoice is paid.